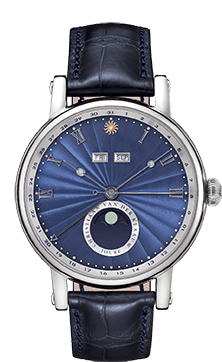 It contains a super luminova moon phase. 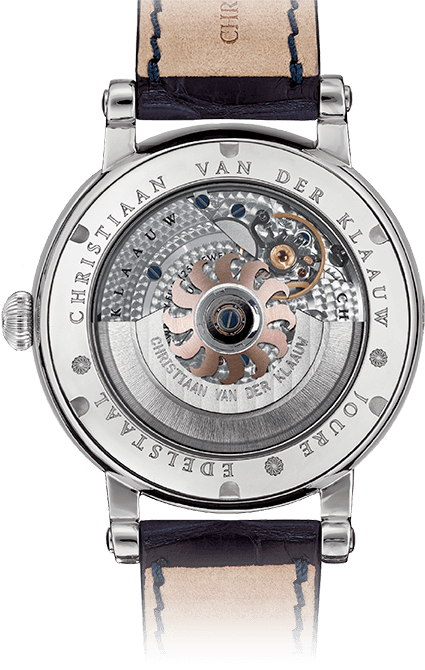 MovementCVDK7760, automatic winding, 25 jewels, power-reserve; 48 hour max. FunctionsHours, minutes, seconds, complication; day, date, month, super luminova moon phase. DialBlue with white rhodium plated indexes, super luminova. The breathtaking CVDK Supernova completes the ‘nova’ family together with the CVDK Hypernova. 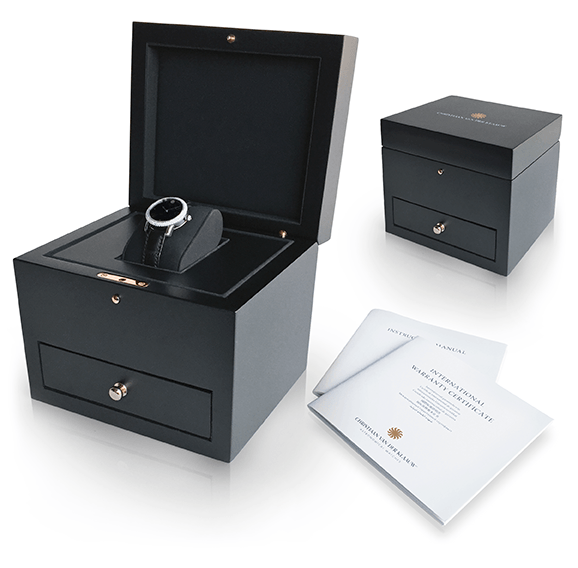 This elegant watch has a date display and a beautiful super luminova moon phase indication. 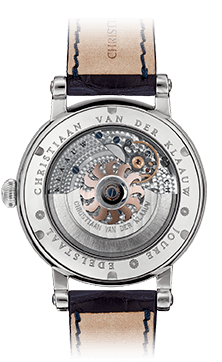 The CVDK Supernova is also equipped with our extra-large case, measuring 44 mm in diameter.